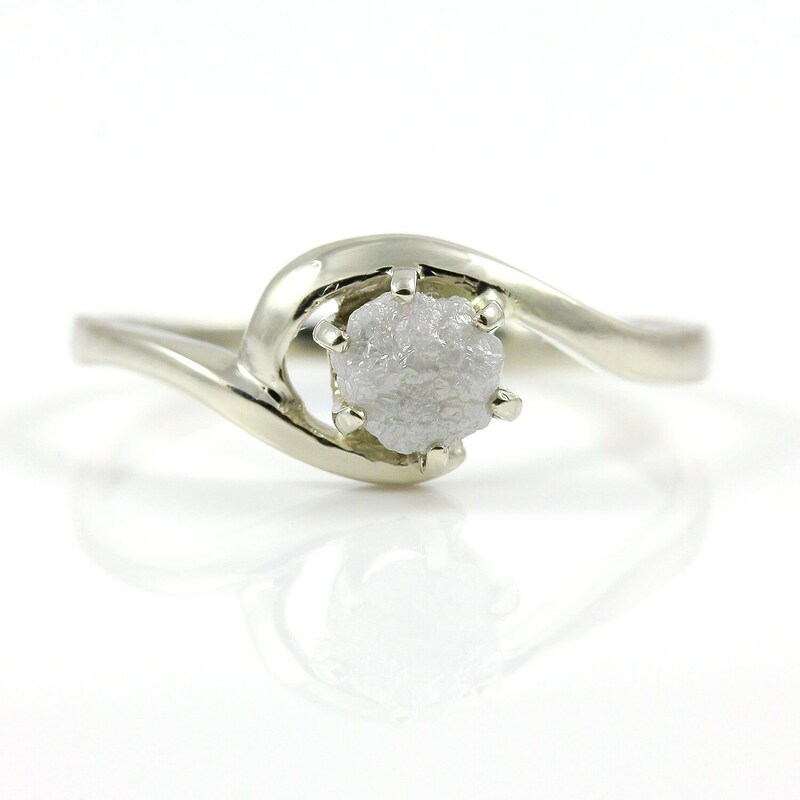 A sparkling white Raw Rough Diamond is set on 6 prong swirl design mounting. 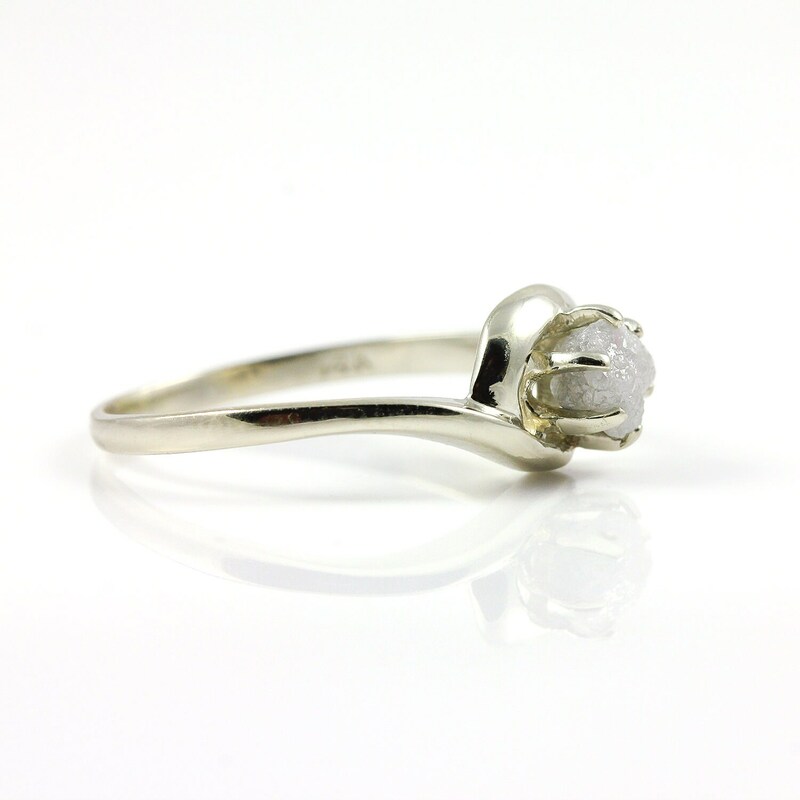 This classic and precious Rough Diamond ring would be a perfect engagement ring, for every day or evening wear. 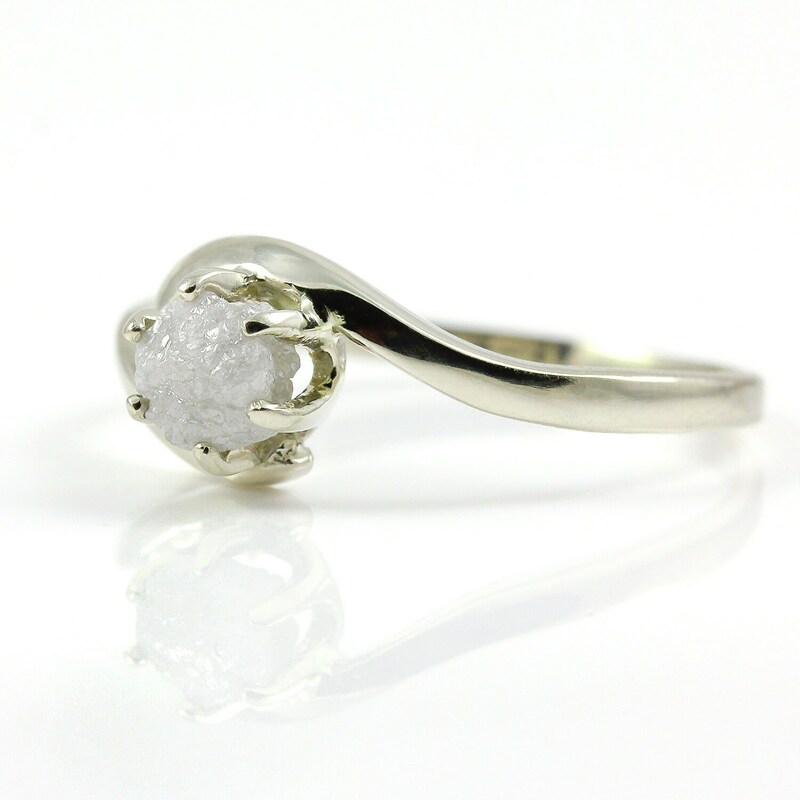 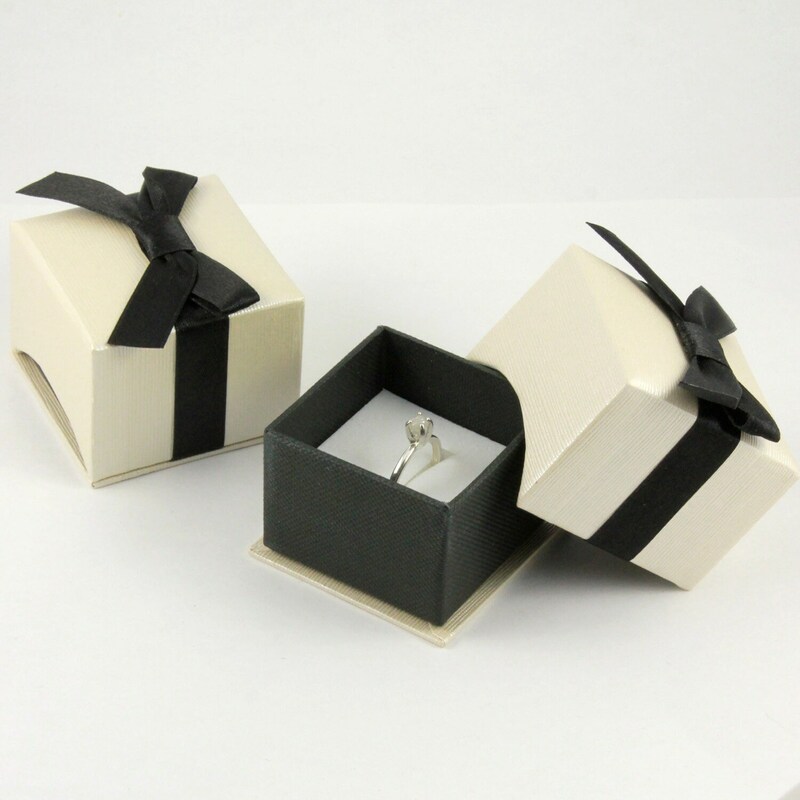 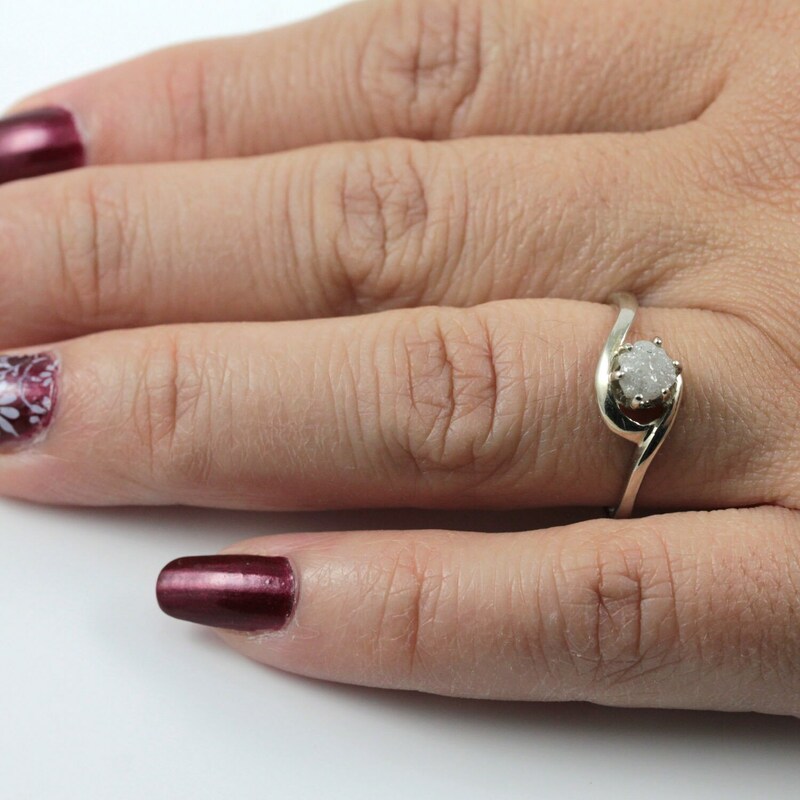 Per your request, we can send you pictures of sample diamonds that can be set on your ordered ring.